This page will show you how to set up an Azure Active Directory application to use for Outlook Signatures or custom scripts. The most common purpose of using the Azure Active Directory (Azure AD) features of FastTrack Automation Studio is for Outlook signatures. 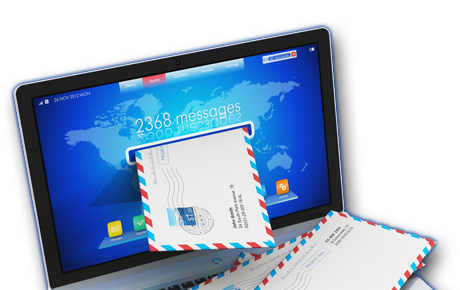 Please refer to this page for more information on Outlook Signatures. Basically you use the "Azure AD / Office 365" button to use an Azure AD property of the current user. Once you build the Outlook signature application (exe or msi file), you will run into the screen below as part of the building process. This is because your Azure AD is in the cloud and an a secure context needs to be established to your Outlook application. This is done by defining an "Application" in your Azure AD, of which you have to enter the security keys for. This is explained in the next two sections. In general terms Azure AD is the primary directory for all organizational Microsoft online services including Office 365, Windows Intune and Microsoft Dynamics. To access Windows Azure portal for your existing Office 365 subscriptions all you need is to activate a free Windows Azure subscription on your existing account. To do this, either refer to this blog page or press play on the Channel 9 video below, where Matt Steele from Microsoft explains the process about 4 minutes into the video. 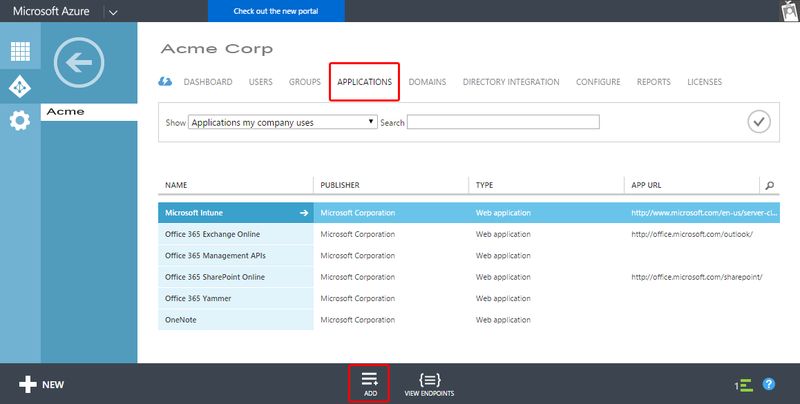 Go to https://manage.windowsazure.com and log on with your Azure Active Directory or Office 365 credentials. Click the "Applications" link at the top and press "Add" at the bottom to add a new application. 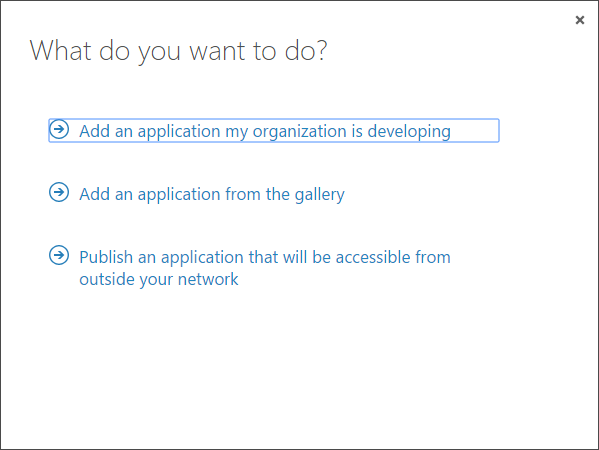 At the pop-up screen, click "Add an application my organization is developing". 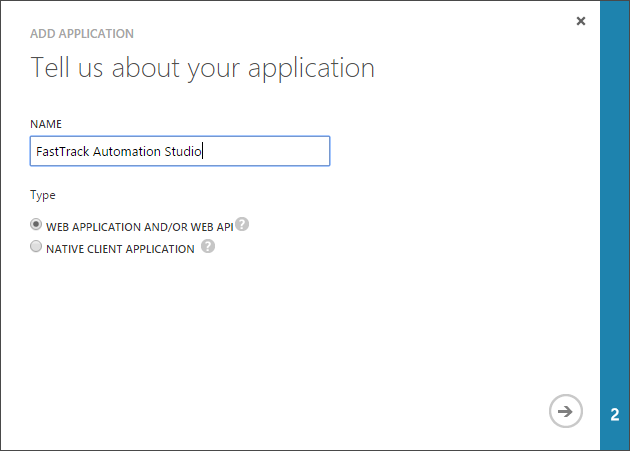 On the next screen, enter "FastTrack Automation Studio" and leave "Web application and/or web API" selected. On the next screen, enter "http://localhost" as both urls and click the checkmark to complete the wizard. When the pop-up closes, expand "Access web APIs in other applications" and click "Configure Key". On the page that opens, scroll down to "Keys" and create a new key. When you click "Save", you will see the key. Expand the "Permissions to other applications" and check "Read directory data"
Press save at the bottom. Scroll up and copy the 36 digit "Client ID" and key under "Keys" (typically 44 digits) and paste them into the wizard (or for using the SetAzureApp command; see next section). 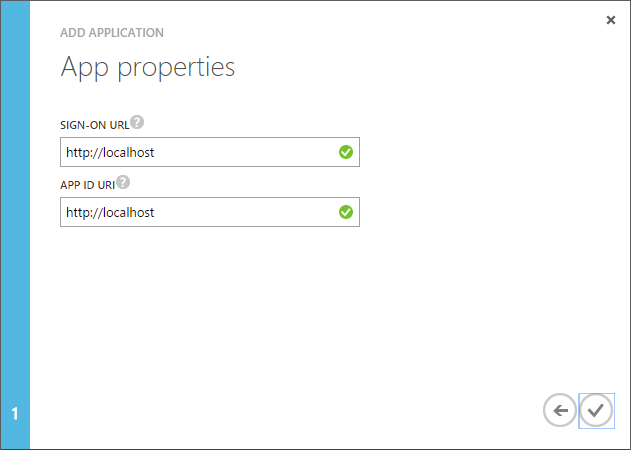 Observe it can take a few minutes, before Azure has replicated your application data and the application works! 1. 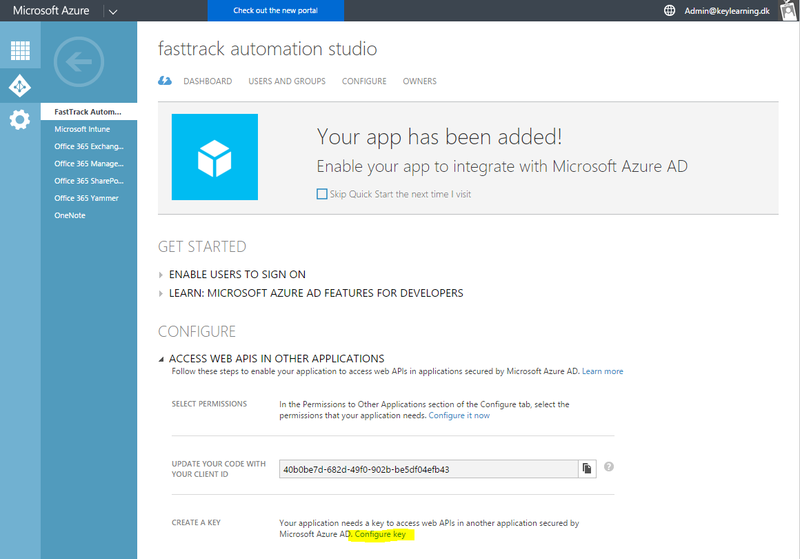 FastTrack authenticates to the Azure AD token issuance endpoint and requests an access token. 2. The Azure AD token issuance endpoint issues a temporary access token. 3. 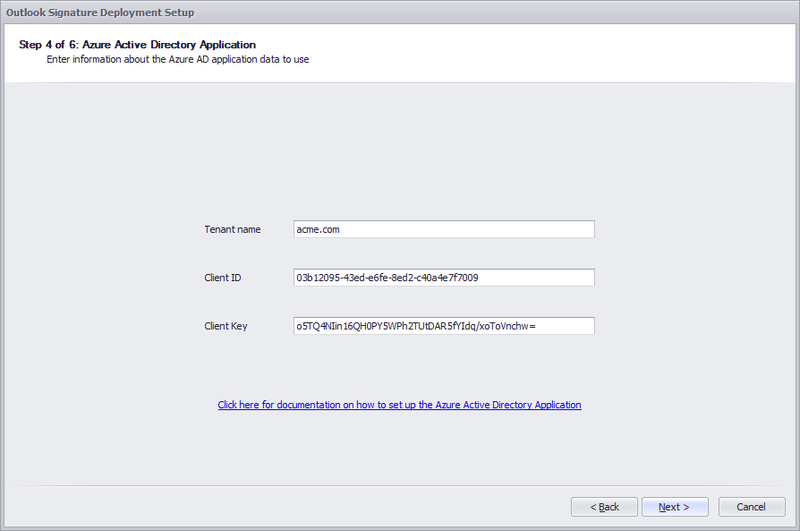 The access token is used to authenticate to the secured resource, in this case Azure Active Directory data (users and groups). 4. Data from the secured resource is returned to the FastTrack engine. You can get all properties of a user by using the FastTrack Azure AD functions. You can also query all groups and memberships. Azure AD does not have Organizational Units and computer accounts, which is why there are less features under "Azure Active Directory" than under "Active Directory" (on-premise AD) in the engine browser in the Script Editor. If the user logged on to an Azure AD, the identity is known and this identification is used. This feature requires Windows 10 or newer. If the user is not logged on to an Azure AD, the engine looks at all Outlook accounts and tries to find an account with the same domain name as the Azure AD tenant name.